The Salford Red Devils Foundation hosted a hugely successful Touch Rugby League at the AJ Bell Stadium. 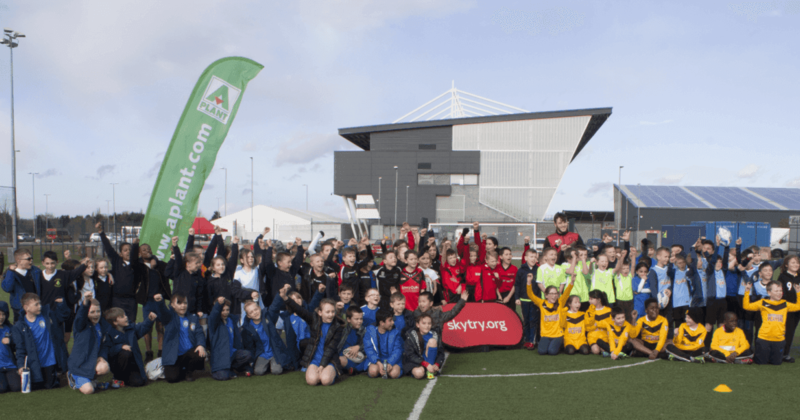 The Salford Red Devils Foundation hosted a hugely successful Touch Rugby League at the AJ Bell Stadium with over 125 children taking part in Salford’s first year 3 festival, supported by SkyTry and A-plant. The festival took place as part of the Red Devils commitment to developing the game of Rugby League in local schools, which has been spearheaded in recent months the Salford Red Devils Foundation school ambassador programme. Schools from Salford, Manchester, Trafford and Bury have benefitted from the Foundations offer of regular coaching sessions, and visits from members of the Red Devils first team squad, as we aim to inspire the next generation of Salford fans and players. As part of the Foundations pathway programme, each player that took part in the festival was given a letter inviting them down to their local community Rugby League club. This has already proved to be a success as a number of local clubs have reported in a rise in participation in the last two weeks.